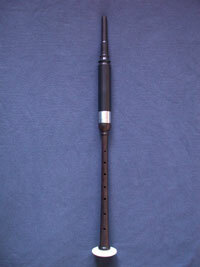 A full-sized chanter with recessed holes and a stainless steel ferrule. For an imitation ivory sole, add $15. 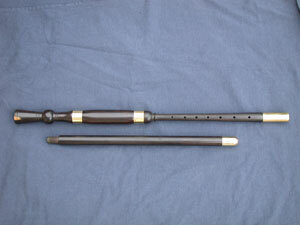 A full-sized blackwood chanter with recessed holes and an imitation ivory sole. Top is wood, with a white, removeable mouthpiece and a stainless steel ferrule. This chanter now includes a water trap, and a wood top which is poly lined.